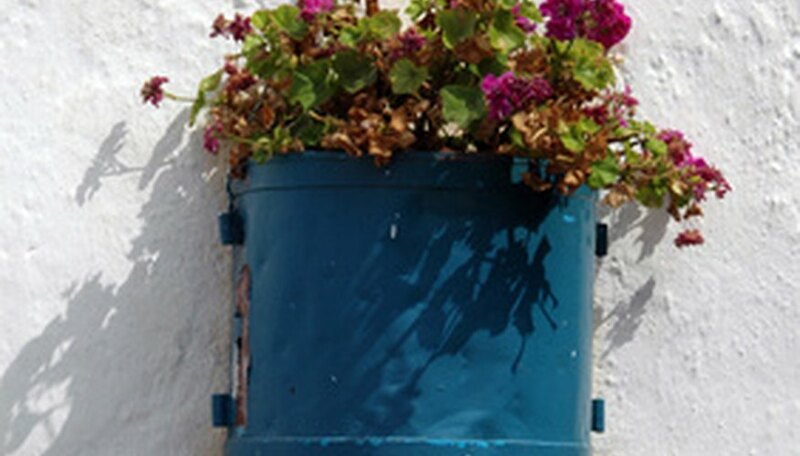 The typical hanging basket or hanging pot is made of plastic. While this is serviceable and lightweight, it does not fulfill the decorative needs of many gardeners. The hanging bag type planters also are not very appealing as decorative accents. 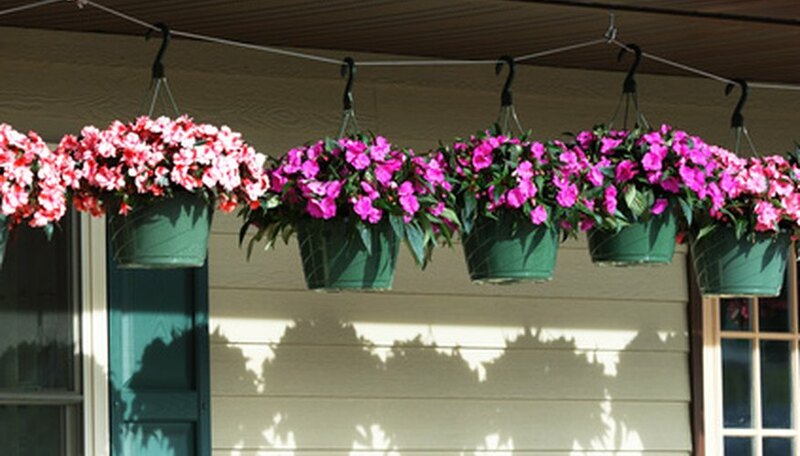 Achieve the ambiance you want with tried and true alternatives to hanging baskets. Consider using a new technique, or trying one of the innovative new planters on the market. Bloom Master brand containers for hanging planters, window boxes and deck planters are similar to “strawberry jars” of yesteryear. These planting pots have evenly spaced openings in the sides of the container where small plants are inserted as the container is filled with growing mix. As the plants grow, they cover the entire pot, creating a large, bushy planter. 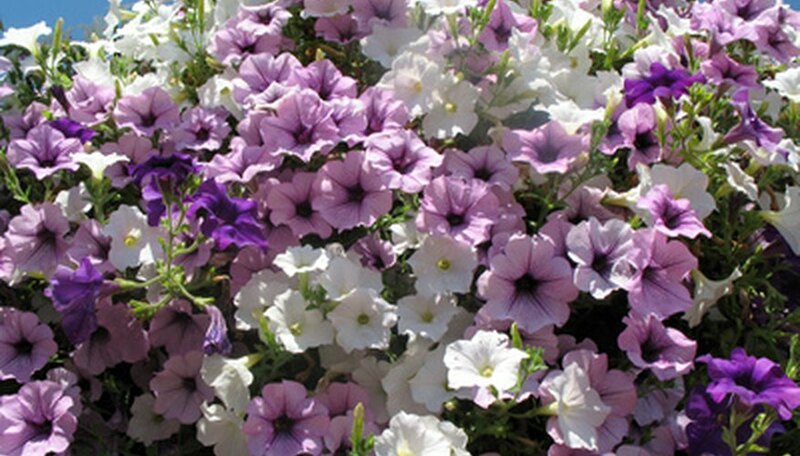 Traditional hanging baskets typically use trailing plant varieties. The Bloom Master containers work with trailing or regular plants. 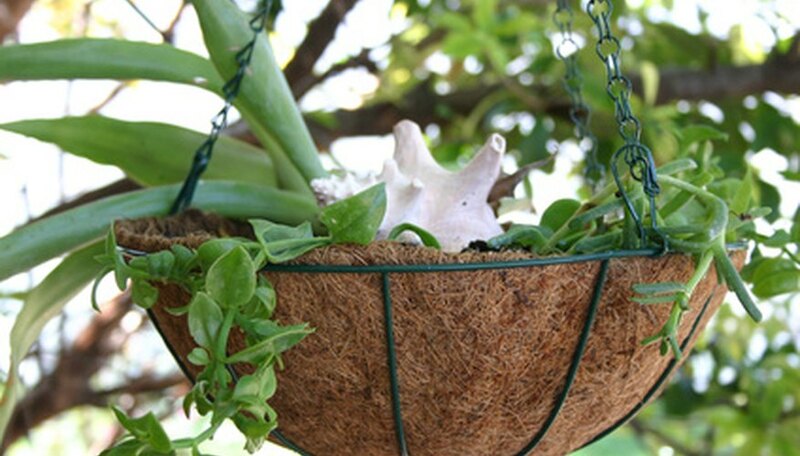 Coco fiber-lined hanging wire baskets are a traditional alternative to plastic pots. Coco liners are available already formed to fit manufactured wire holders, or buy rolled coco fiber sheets to cut or manipulate to fit any basket, window box or deck planter. Loose coco fiber is available by the bag for making custom fiber liners for odd-shaped containers. Coco liners are biodegradable. They provide good soil aeration, and they prevent standing water and root rot. To keep water from draining directly through a coco fiber lined container, use a growing mix that has at least half vermiculite. Vermiculite retains water, making it directly available to the plant roots. Sphagnum moss and jute fibers are also used to make comparable liners. One purpose of hanging baskets is to raise flowers and foliage to eye level. Raise plants from ground level by using wall pots. Wall pots are flat on one side to allow them to hang flush against a wall. Mount wall pots in any configuration to achieve a dense wall of plants, or to highlight specimen plants. When designing with wall pots, remember that unshaded south facing walls receive direct summer heat, which quickly dries out soil and may cause sunscald on exposed plants. Another way to display plants on a wall is by using special mounting brackets that hold pots. Old fashioned plant stands are a convenient alternative to hanging baskets. Showcase a favorite potted plant on a stand. Arrange and rearrange several plant stands in groupings as different flowers come into bloom. Use stands of different heights to create a wall of plants. Plants are easy to rotate on a stand for even lighting; no hook or bracket is needed to move the plant to another location.